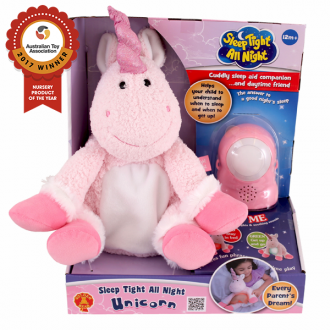 Every parent's dream, a companion toy that helps children with their sleep patterns! The 4 Main Features: 1. Sleeping Aid - Helps and teaches the child to sleep and wake at pre-set times. 2. 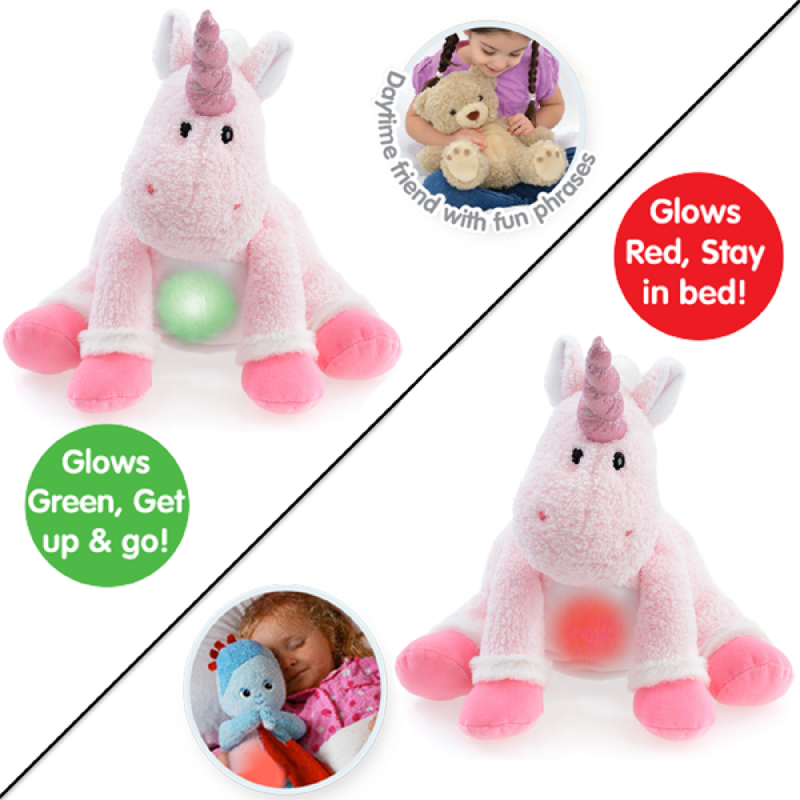 Sleeping Comforter - With a squeeze of the tummy it glows and makes soothing sounds to comfort the child during the night. 3. Daytime Play - Changes to a day time talking plush. 4. Stand-alone Sleeping Aid - It can be removed from the plush as a stand-alone sleeping aid.